So this was a tiny bit of an experiment for me. I found this recipe over on whole living, and decided to give it a try for my lunches this week. 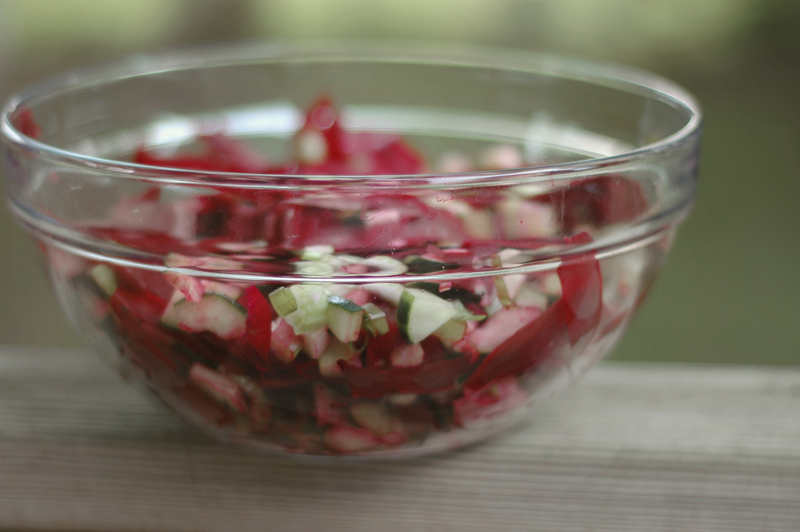 I made this “beet slaw” with four stalks of celery, two green onions, one cucumber, and two beets. Whole Living suggests that you eat this on arugula, topped with 1/2 of an avacado and about 3 tablespoons of sunflower seeds. They suggest dressing it with olive oil and lemon juice. I will likely use avocado and pine nuts, since that’s what I have on hand, and probably a little balsamic vinaigrette. When you eat a lot of salads, you really need to find some ways to add variety – chicken and veggies on lettuce doesn’t keep a girl happy very long. 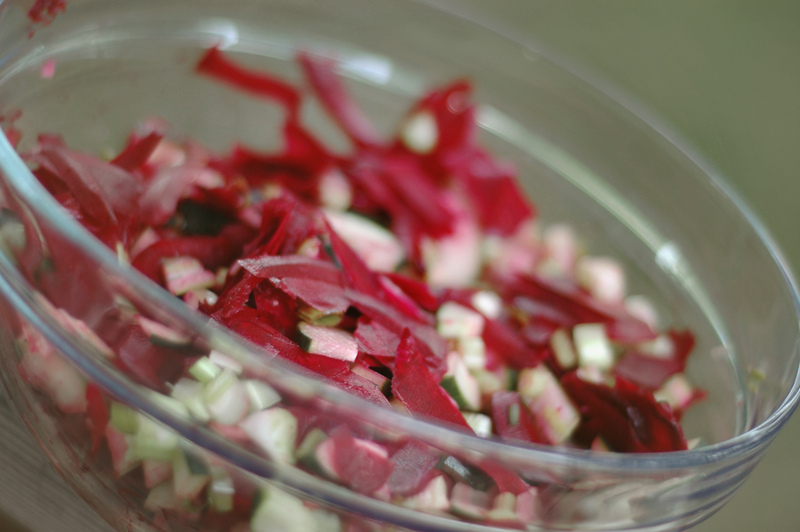 Did you know beets are one of the absolute best foods for you? They are jam packed with nutrients. Also, they are pretty. And it’s a fact that eating pretty things is way better than eating plain boring things. Happy lunching!